John Slick is a lifelong resident of Washington County, and has roots in the Williamsport area stretching back three generations. A 2008 graduate of Boonsboro High School, John continued his studies in Music Education at Shenandoah University in Winchester, Virginia. John has served as a clinician and instructor for a number of ensembles in Virginia and Maryland, and currently serves as the Assistant Director of the Boonsboro High School Band. John currently lives in Boonsboro, Maryland, with his wife, Nicole. 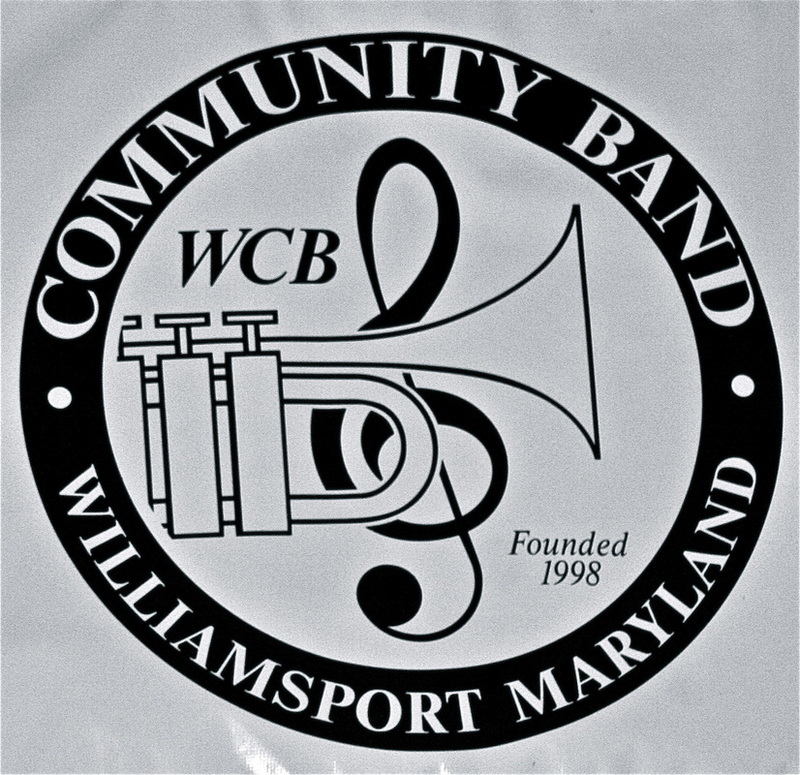 The Williamsport Community Band met for the first time during the summer of 1989. Practice was held on the gazebo at Byron Memorial Park in Williamsport. There were about 30 musicians in attendance. None of the musicians were exactly sure what the band was going to sound like, but all of them were convinced that the adventure would be fun. The mayor at the time, John Slayman, and long time town resident, Nelson Deal, wanted this day to happen for a very long time. They had been on a mission for years to develop a "town band". They finally convinced Susie Kunkle, a Williamsport native and former director of the Williamsport High School Blue Band to give it a try. From that summer day in the park in 1998, the band has grown in number and in quality of musicianship. The band boasts a membership of 60 + excellent musicians from all walks of life. Members come from the tri-state area, including Maryland, West Virginia and Pennsylvania. All are volunteers and enjoy playing because of their love of music. The band presents two indoor concerts per year in December and May. During the summer months, the band performs concerts in the Tri-State area. One of the most impressive concerts of the summer is held on July 4th with a huge celebration and fireworks celebrated by thousands of people. The event is held in Byron Memorial Park in Williamsport. The idea of this great celebration was generated by the band several years ago and has developed into an all-day affair. From that first summer day in the gazebo to the present, the band has developed into an icon in Williamsport and the surrounding area. 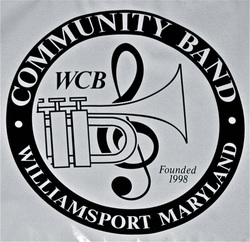 The band had the honor of performing at the Maryland Community Band Day during the summer of 2012. This was a great honor to be accepted to perform. The band has developed from an idea to reality...a fun adventure to an excellent musical organization...and a respected representative of the town of Williamsport.